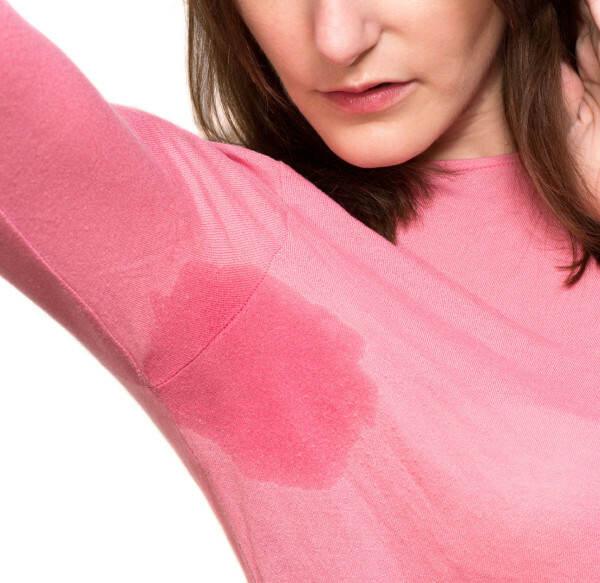 Excessive sweating, or hyperhidrosis, is not an uncommon condition. It affects 3 in every 100 people, most of whom experience it on their palms, armpits, or feet. The sweating can have a significant personal and social impact on the patient which is sometimes enough to warrant medical intervention. A common type of hyperhidrosis involves sweating of the palms, soles of the feet, face, scalp, and/or armpits. The cause of hyperhidrosis is often not clear. A person can be perfectly healthy and still have sweaty palms. Focal hyperhidrosis can run in families. There is no gender component; the prevalence is equal between men and women. On the other hand, while the condition may affect anyone at any age, most people who have it reported experiencing the first signs before reaching 25 years of age. Triggers can include spicy food, heat, friction, stress, and anxiety. This can be associated with an underlying medical condition. Anxiety disorder, hyperthyroidism, spinal cord damage or injury, cardiovascular disease, certain infections, and certain types of cancer can cause overall sweating. Certain medication can also cause excessive sweating. Treating generalised hyperhidrosis may involve identification and then treatment of the underlying disorder. Physical examination in this case is basic. The affected regions of the body are identified. Most cases of hyperhidrosis affect the palms, soles of the feet, and armpits, as previously mentioned. Generalised body sweating may indicate a medical problem that should be determined. A dermatologist making diagnosis of a patient’s hyperhidrosis may look into his or her medical history and current health status. Medical tests may be ordered. Dermatologists like Dr Glass usually recommend antiperspirants first. Using them is straightforward. Patients just need to apply them on affected areas. An antiperspirant works by plugging the sweat glands, stopping them from producing sweat. Regular antiperspirants may be sufficient for many patients but may be ineffective for others. Dermatologists may prescribe stronger or clinical-strength products for the latter. They may also recommend certain types of products for people with sensitive, irritation-prone skin. Dermatologists may address focal hyperhidrosis through Botox treatment, which basically utilises Botulinum toxin. They typically use a weak version of the toxin, which is then injected into the affected area. The toxin blocks a chemical that activates the sweat glands, thereby minimising unwanted perspiration. Dermatologists usually use Botox only on the underarms, but studies have shown its effectiveness in treating excessive sweating of other areas, like palms and feet. The treatment starts working in about 5 days. Its effectiveness can last for up to 6 months. Another session is necessary once the effects of Botox wears off. The majority of patients tolerate Botox well. Potential side effects of Botox treatment include muscle weakness and compensatory sweating in other areas. Localised sweating may also respond well to iontophoresis. This method makes use of a device that sends low-voltage electric current to your skin and deactivates the sweat glands. It works for sweaty hands and feet. It takes a while to get results. Most people need 6-10 treatment sessions. Dermatologists usually recommend that patients do 2 or 3 sessions a week, with each session lasting for 20-40 minutes. Although it is effective, it may cause irritation and discomfort in a few patients. Anticholinergics are the most commonly prescribed medications to control excessive sweating. These medications have long been used to treat hyperhidrosis, and they are generally safe when dosage instructions are followed. Side effects that can limit their usefulness include dry mouth and constipation. Often the last resort, surgery is done when all other treatments fail and the patient seeks relief from excessive sweating. There are different types of procedures to stop the sweating. The goal is either to remove the sweat glands or stop the nerves that activate the sweating.